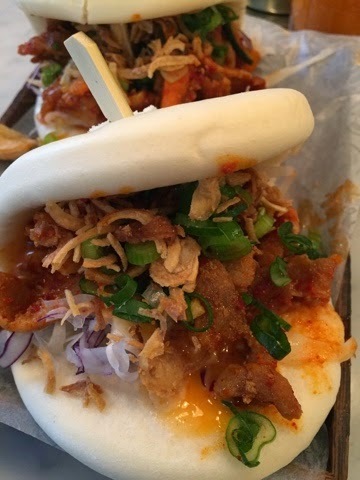 For anyone who loves street food, this place is for you. Sticky pork buns, crispy dumplings, tangy sauces. I haven't stopped thinking about this place all week. The menu is simple, pick which base you would like... Fluffy bun, rice or noodle soup. Then pick your meat, sticky pork, beef or chicken. 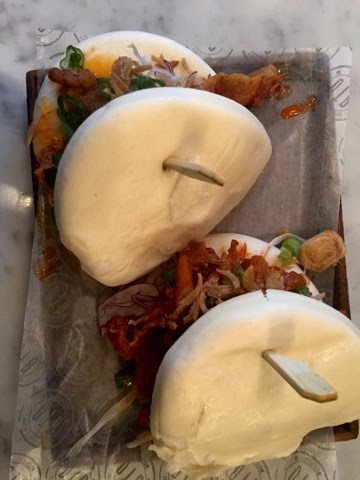 Pick your sides, dumplings, rice cake, fried chicken or hot pancakes. Within in minutes your food has arrived and you can tuck in. Now I wasn't going to blog this is as it was a last minute thing and we decided to go and refuel on some delicious grub without me whipping my camera out every second. Obviously as soon as we arrived it was a whole different story. How could these not get a pic? These are On The Bab's sticky pork buns . Advertised as a small dish, and at only £5.50 these are amazing. Firstly they are large enough for a main for anyone. 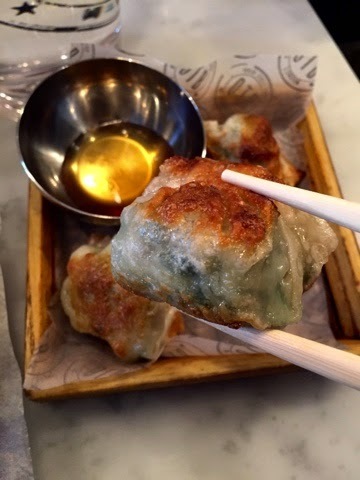 Especially if you get some dumplings alongside, and of course they are delicious. Dripping in spicy sauce and topped with crispy extras these cannot be missed! 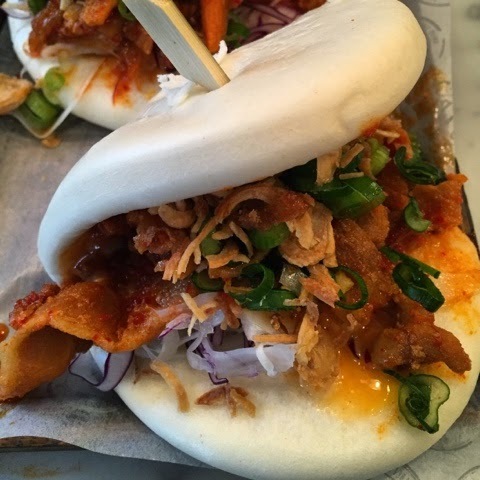 Once you have had your fill of Korean street food, pop over to The Ace Hotel. Very quirky and very cool the interior is all concrete, wood, bare brick and greenry. Ferns and plants crowd each corner, the walls adonred with art and squishy chairs and sofas everywhere lure you in for the eveing, Of course this kind of of outdoor/indoor interior thing is right up my street. 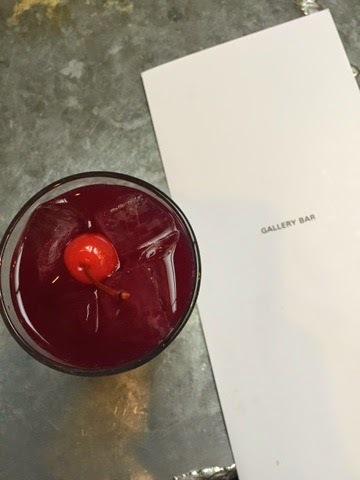 The cocktail menu reflects this outdoor theme, My Cocktail aptly named 'A Garden Walk' has lashings of sweet syrup along with earthy beetroot. These flavors give this cocktail a fantasticly earthy flavour, really giving your taste buds the Garden Walk they were after. Both On the Bab and The Ace Hotel are Perfect hotspots for a mid week pick-me-up. Make sure you venture soon, On the Bab had queues out the door and The Ace Hotel was buzzing in the early evening, make sure you head over there early too, to get a comfy spot.